As part of the national backlash against the new policy of utterly unrestrained spending and taxing in Washington, a new local group has formed called the Cincinnati Tea Party designed to protect and oppose the stimulus bill and foreclosure bailout. 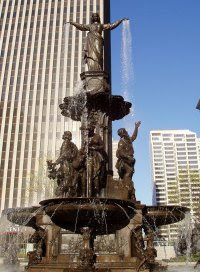 They have organized a rally featuring former Congressman Steve Chabot on Cincinnati’s Fountain Square for Sunday, March 15, 2009 from 3-5 PM. For more information, contact Mike Wilson. COAST enthusiastically endorses this event. Please RSVP to their website. Regarding his so-called bipartisan summit: For him to insist on this monstrosity--however mutilated or polished, is arrogant nonsense! Has he no awareness of how people feel?